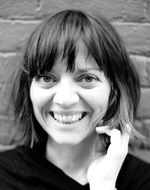 Frieda Klotz is a freelance journalist and critic, based in New York City. Left unchecked, competitive situations may be as likely to bring out our worst as our best. The secret to successful influence is the same as acting: Know where your character is coming from.